Windy City Mechanical, Inc. is proud to serve the Logan Square community! About Logan Square, IL - Happy to be your hometown Heating & Air Conditioning Contractor! 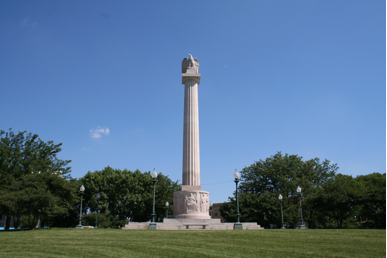 Logan Square is ahistorical neighborhood located in Northwest Chicago. This community area is named after General John A. Logan, an American political leader and soldier. Historically, Logan Square boasted a large population of Norwegian-Americans, as the inexpensive housing made the community a favorite for immigrants and other working-class citizens. Today, the area is characterized by bungalow-style homes, greystones, and prominent historical boulevards. Whether you are a regular visitor to Logan Square or will be taking your first trip to the area, there are several attractions to check out in the neighborhood. Art aficionados often enjoy a stop at Galerie F to browse through the extensive collection of prints and posters, and visitors that have some time to spare on the weekend may like to check out the seasonal produce at the Logan Square Farmers Market. The Logan Arcade is also a local favorite, featuring a variety of restored arcade games. Chicago and its communities lie within a humid continental climate zone, experiencing four seasons throughout the year. Winters in the city are cold and snowy, and average high temperatures in January are below freezing. The city sees an average of 37 inches of snowfall each year, and storms with heavy precipitation are common. These weather conditions make it essential that Logan Square residents invest in an efficient furnace or heat pump to stay warm throughout the winter. Autumn and spring are both mild seasons with low levels of humidity, and outdoor recreation is extremely popular during these times of the year. However, during the summer, temperatures get hot and muggy. In July, the hottest month, temperatures average in the mid-70s, but there are more than 20 days per season that see thermostat readings above 90 degrees. When these extreme summer heat waves make their way into the city, residents rely on their air conditioning units to stay comfortable.